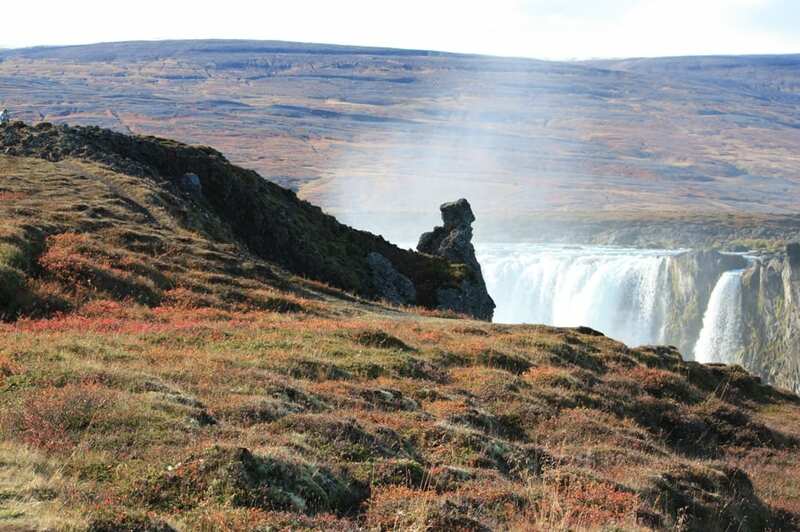 Day tour Dettifoss Waterfall and Myvatn Nature Baths	26.000 kr. 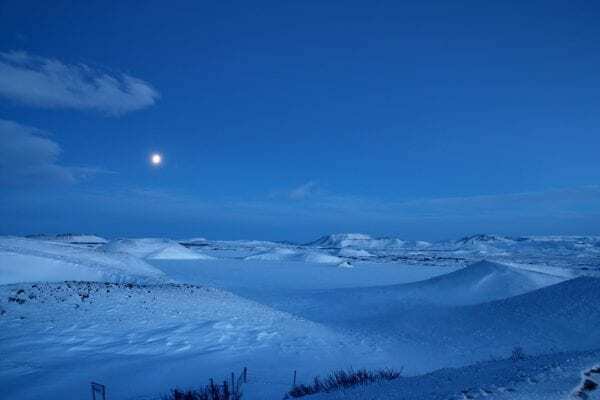 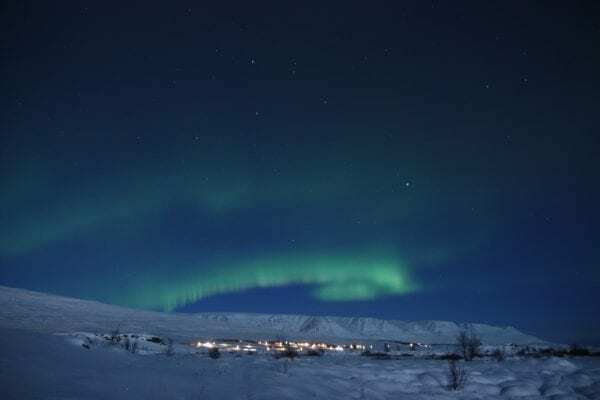 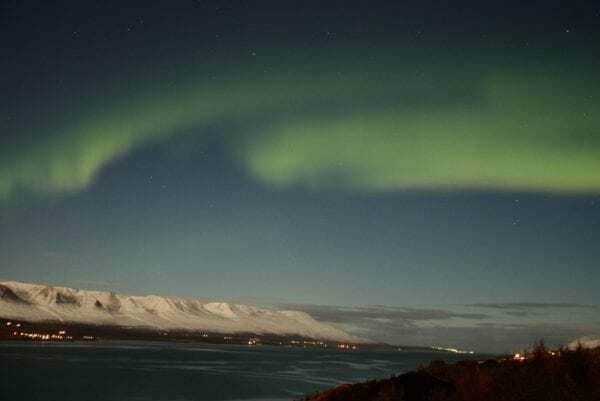 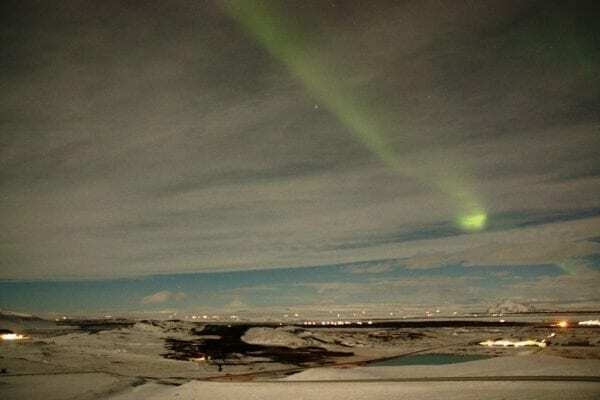 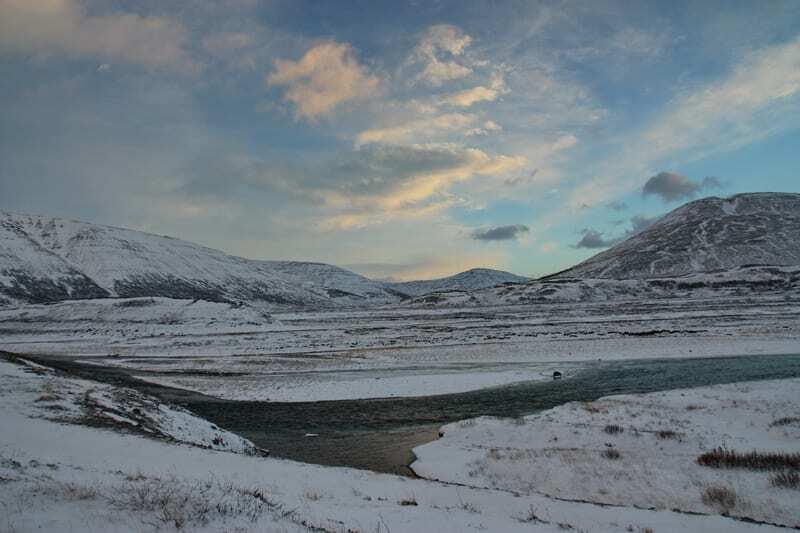 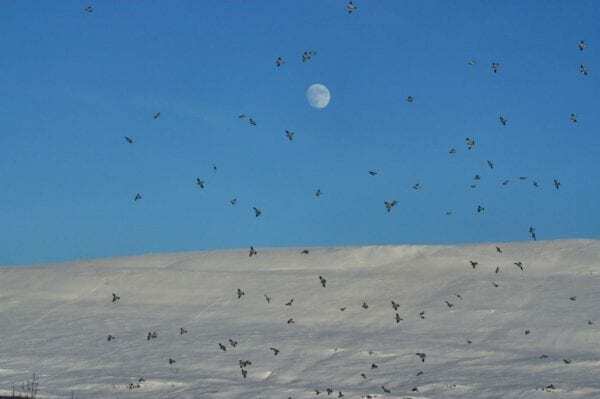 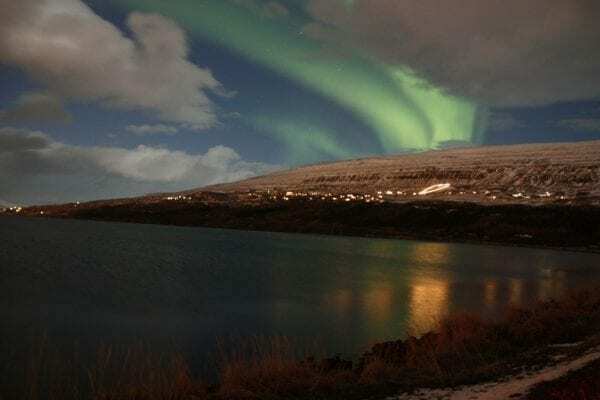 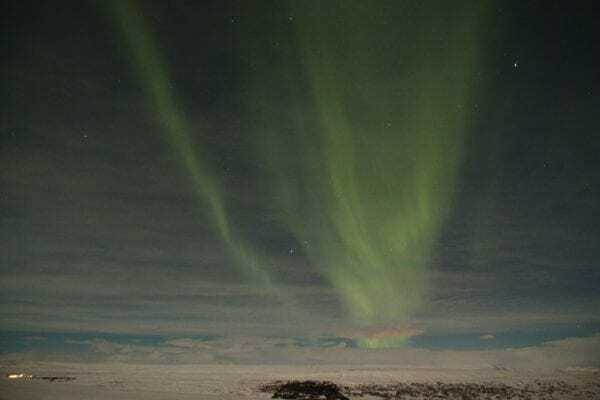 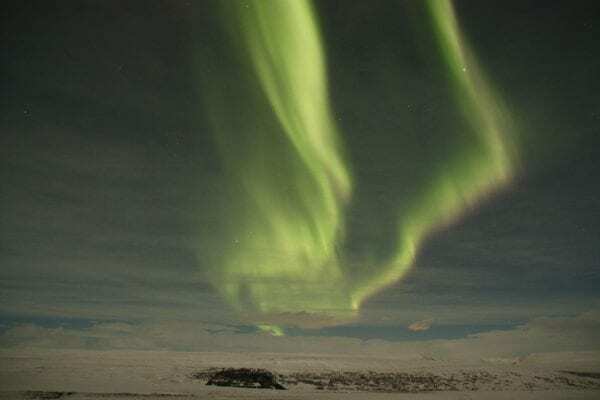 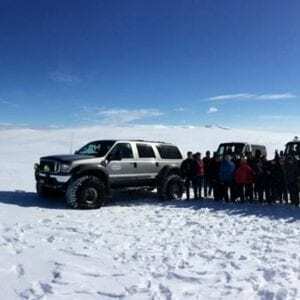 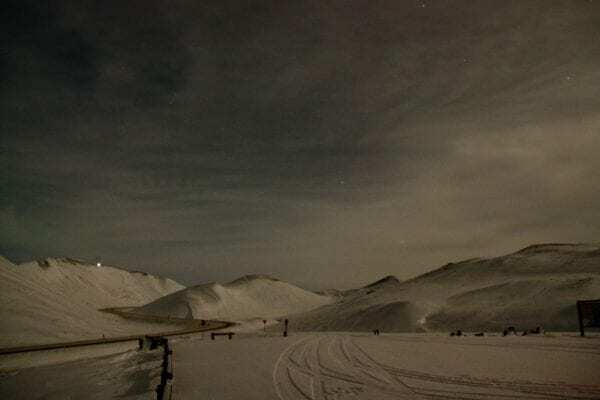 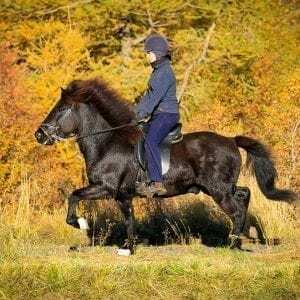 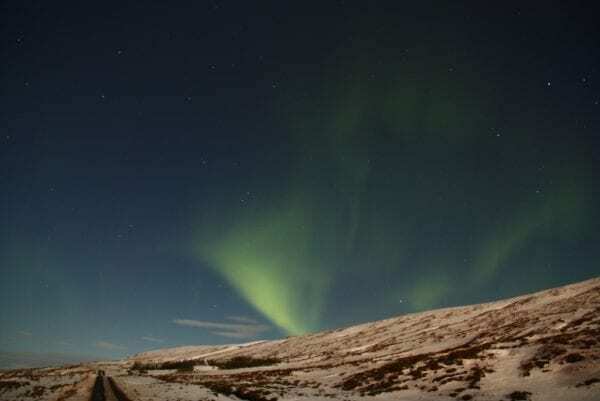 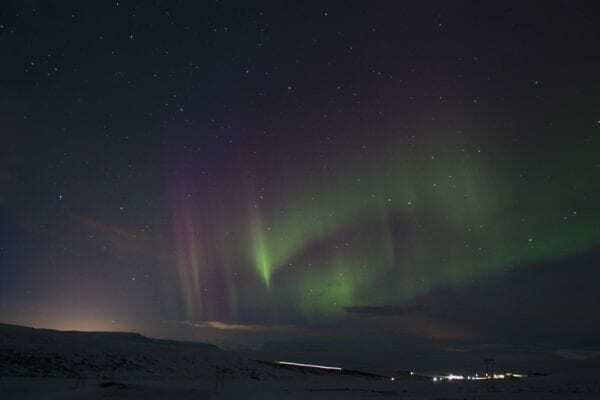 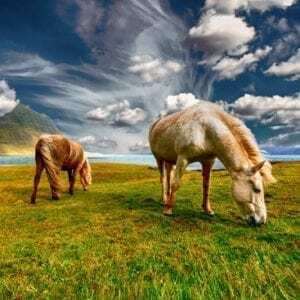 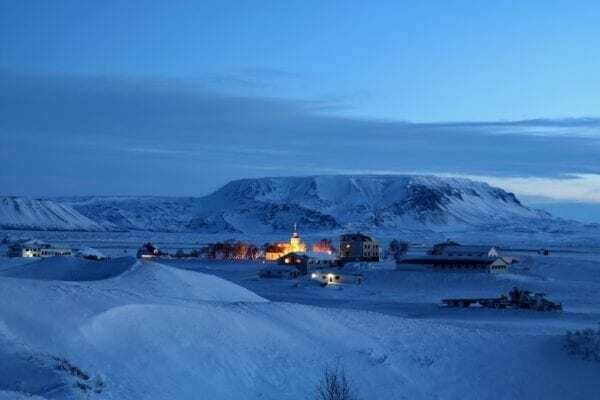 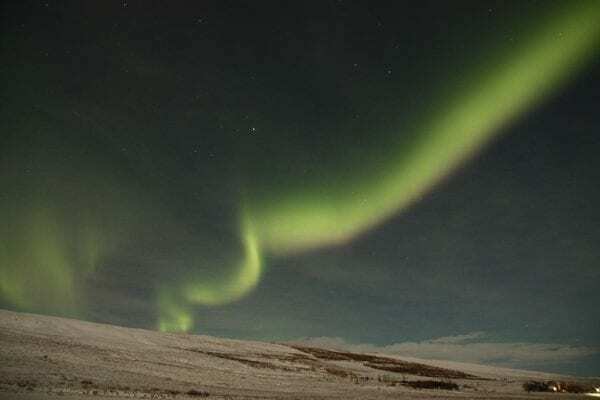 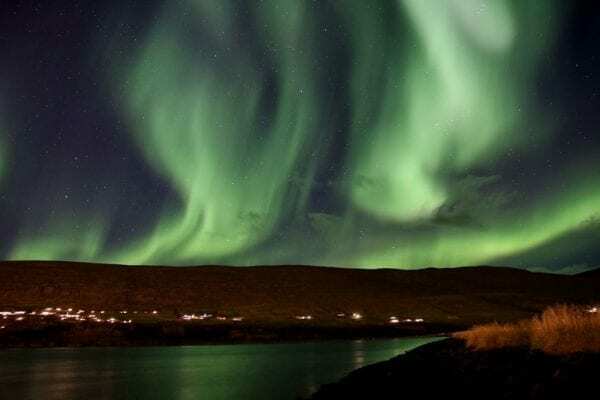 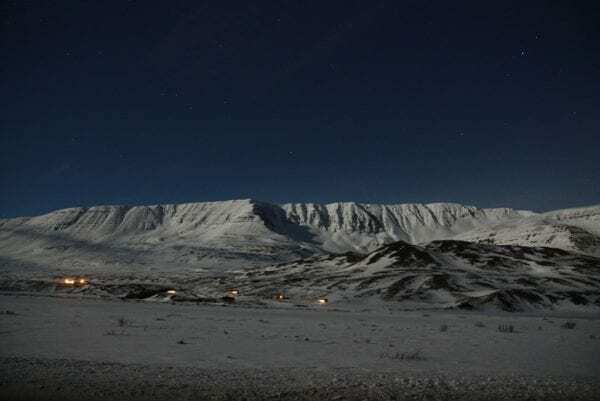 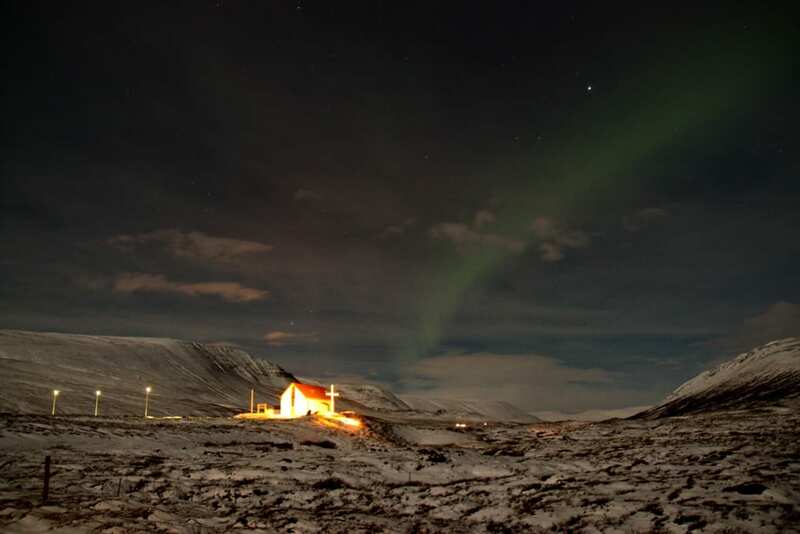 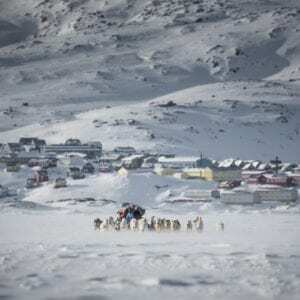 Northern Lights tour in Iceland offers an incredible opportunity to combine hunting for the Northern Lights with a range of fantastic beautiful winter nature of north Iceland. 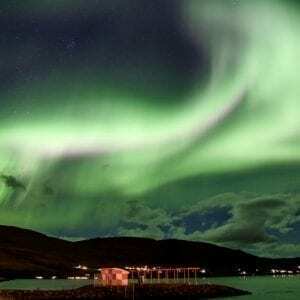 Great chances to see truly different Northern Lights experience. 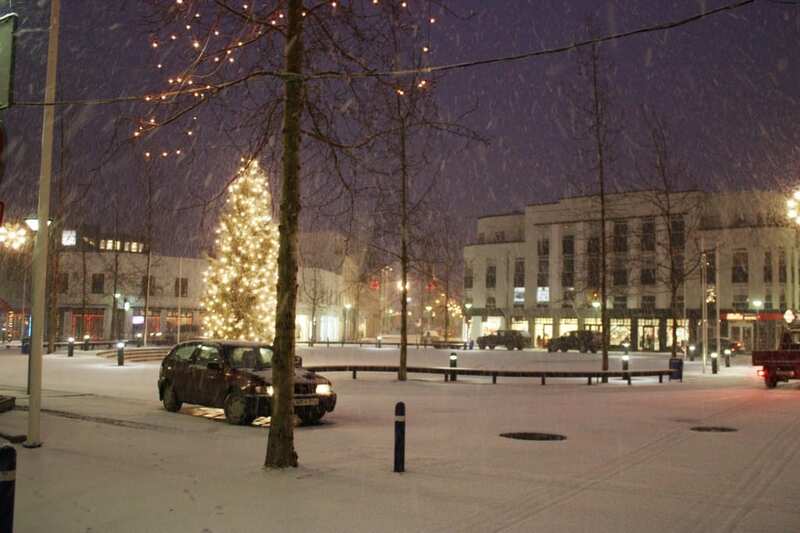 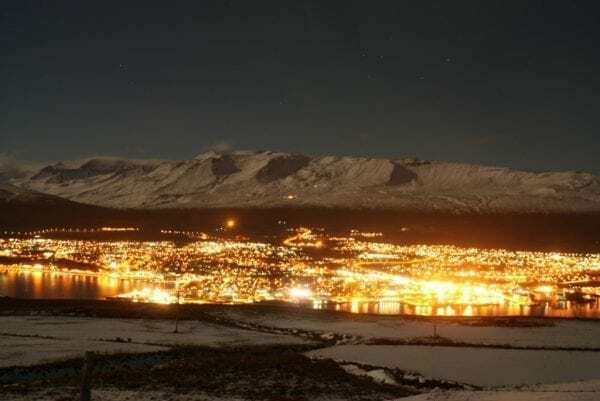 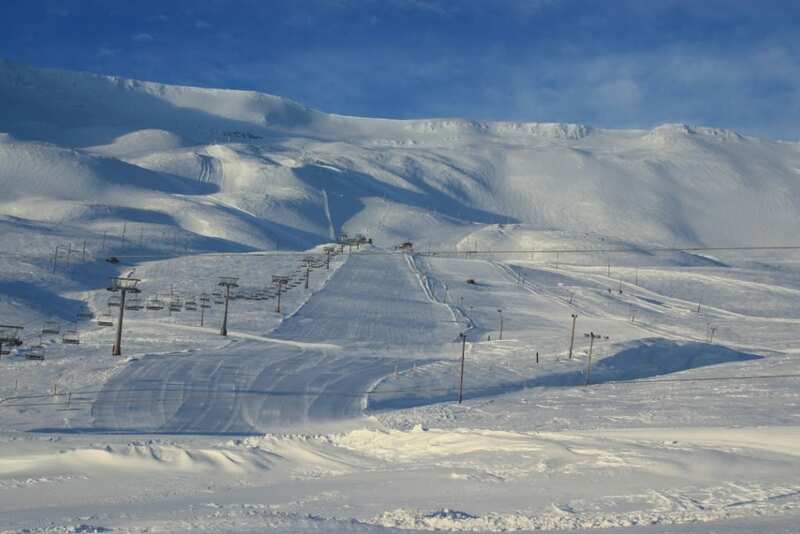 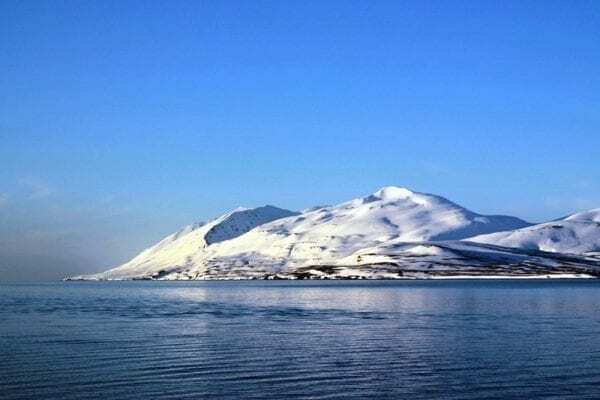 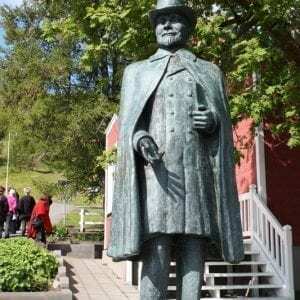 Taxi transfer from Akureyri airport to your accommodation in Akureyri. 3 nights hotel accommodation in Akureyri. 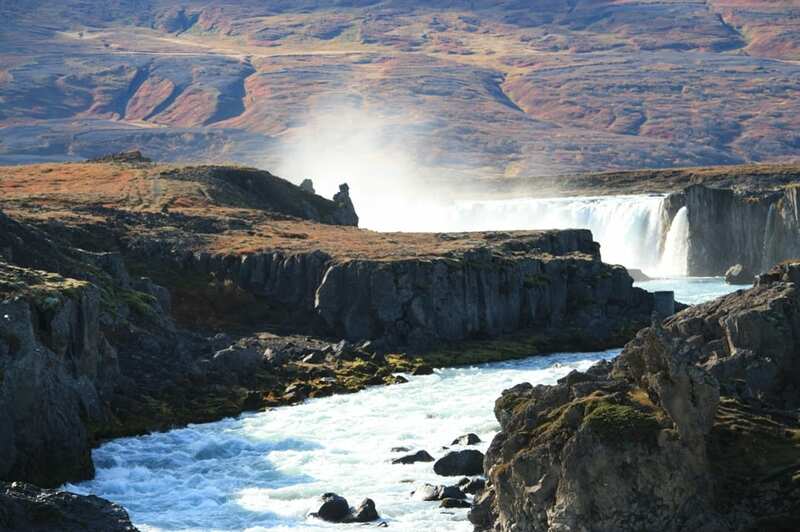 Standard rooms with private facilities including breakfast. This 4th biggest lake in Iceland is surrounded by lava flows, craters, panoramic views and amazing bird life. 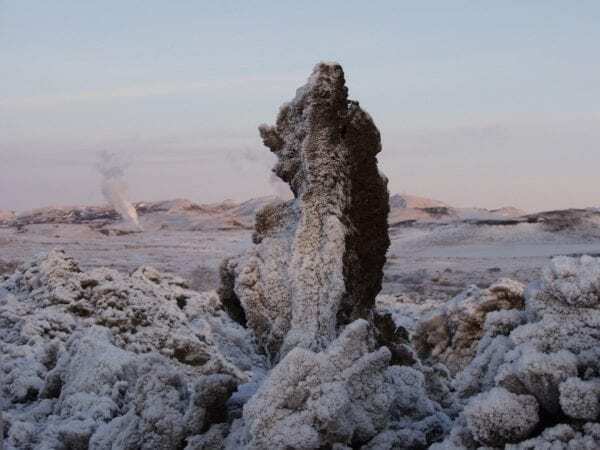 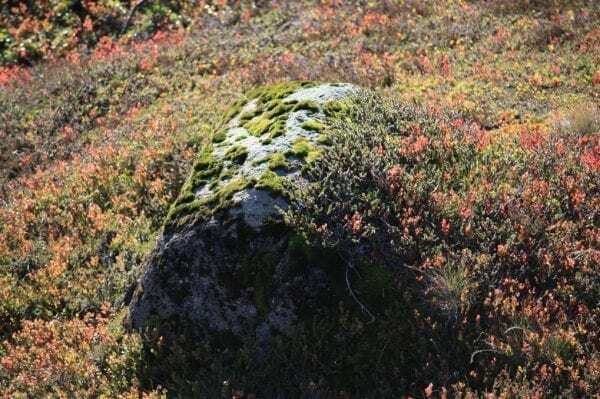 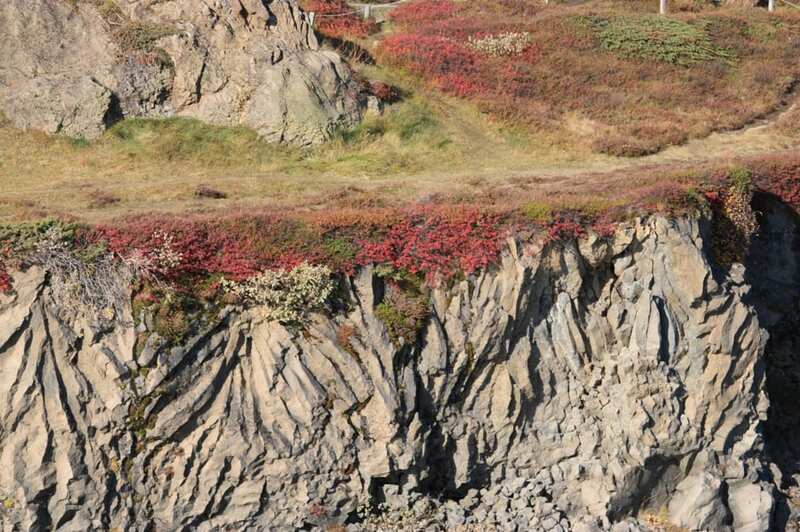 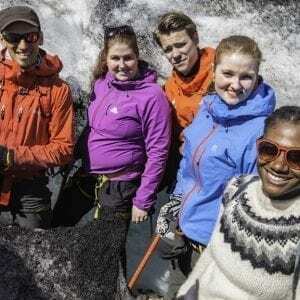 This tour takes you to Dimmuborgir a unique area of lava sculptures and rock formations, Hverir where you can explore the steaming and bubbling mud pits, the underground caves at Grjotagja. Ending the day at the Myvatn Nature Baths where you can enjoy a relaxing soak in the geothermal waters. 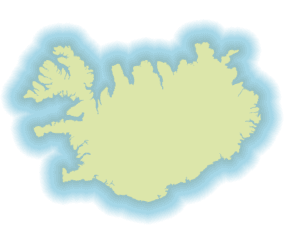 There is also an option to visit the bird museum. A day at Myvatn is a day to remember. 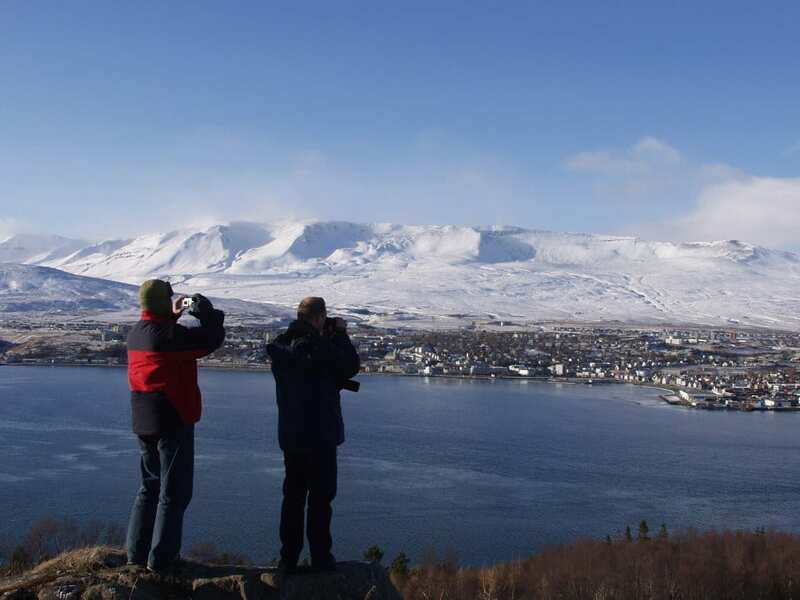 The tour departs from Akureyri. 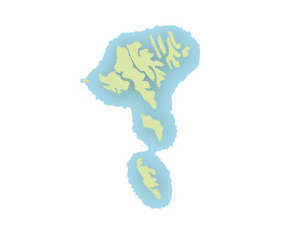 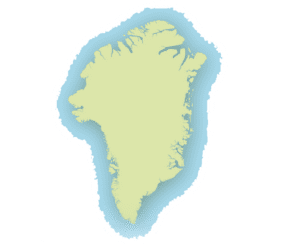 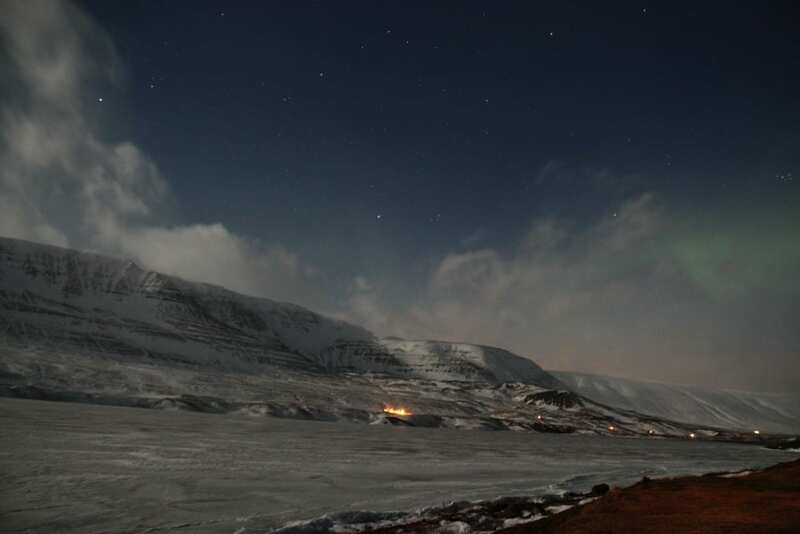 The first stop gives you the best views over Akureyri and Eyjafjordur. After a short photo stop, we drive on to Godafoss waterfall. One of Iceland´s most beautiful and uniquely shaped waterfalls. 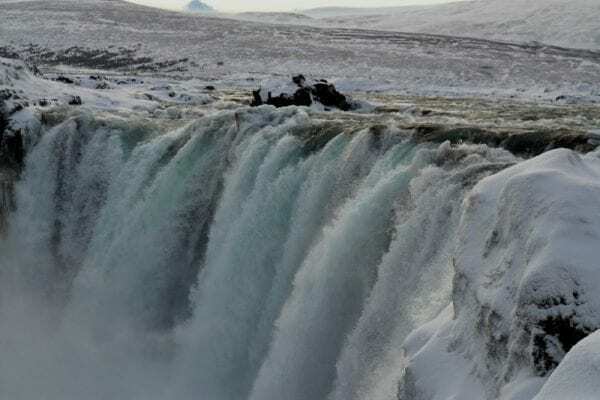 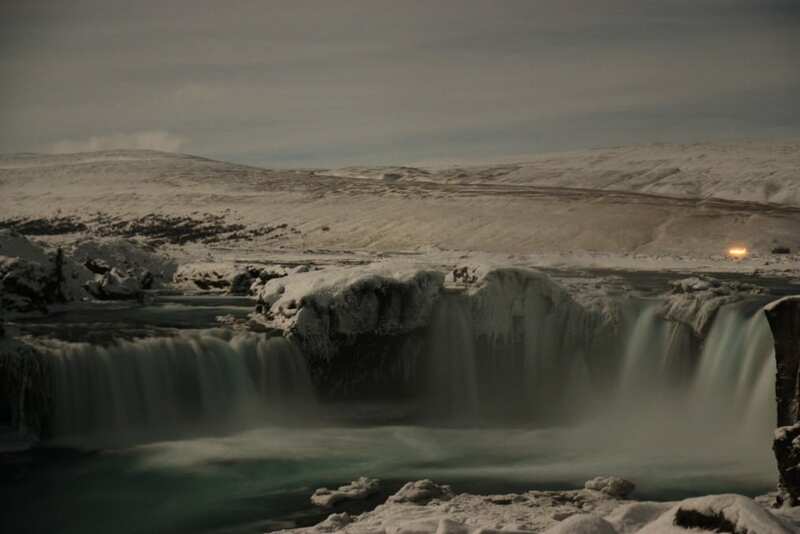 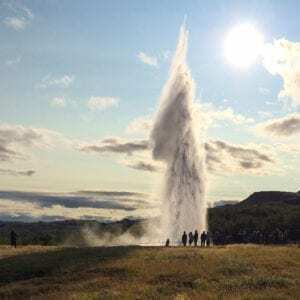 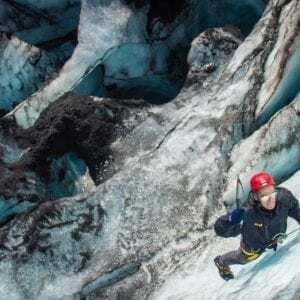 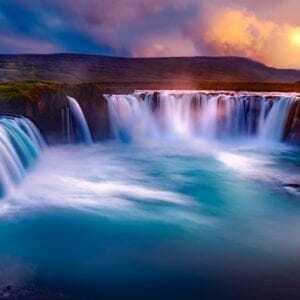 Here we tell you why the falls are important in Icelandic history and give you enough time to explore the area close up. 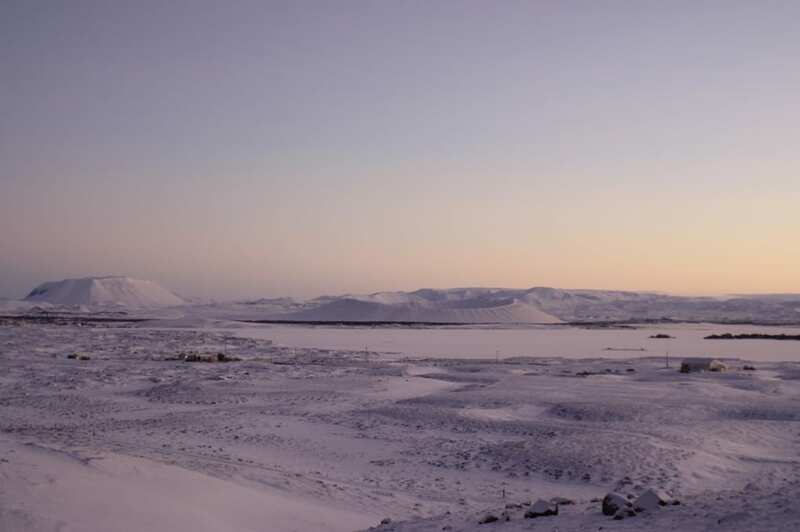 The next stop is at Lake Myvatn. We stop at the pseudo craters for a short while before heading on to. 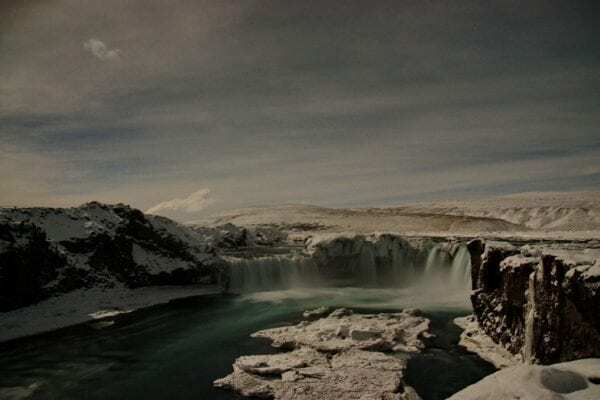 After a lunch break overlooking Dimmuborgir, we visit the former nature baths located on the tectonic plates between Europe and America. 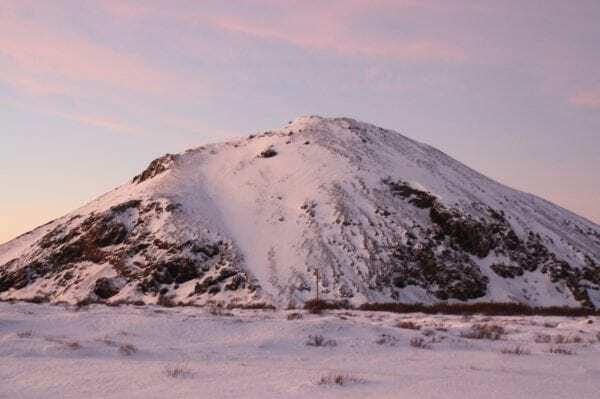 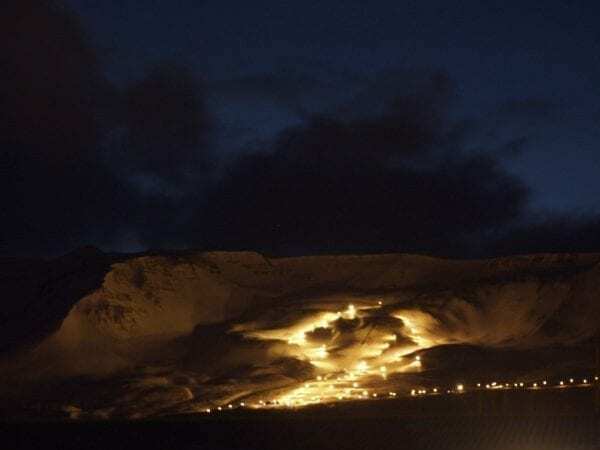 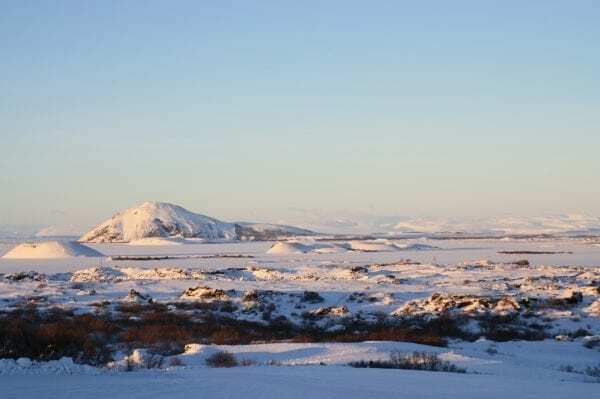 The last volcanic eruption in Myvatn was in 1984 from the volcano Krafla. 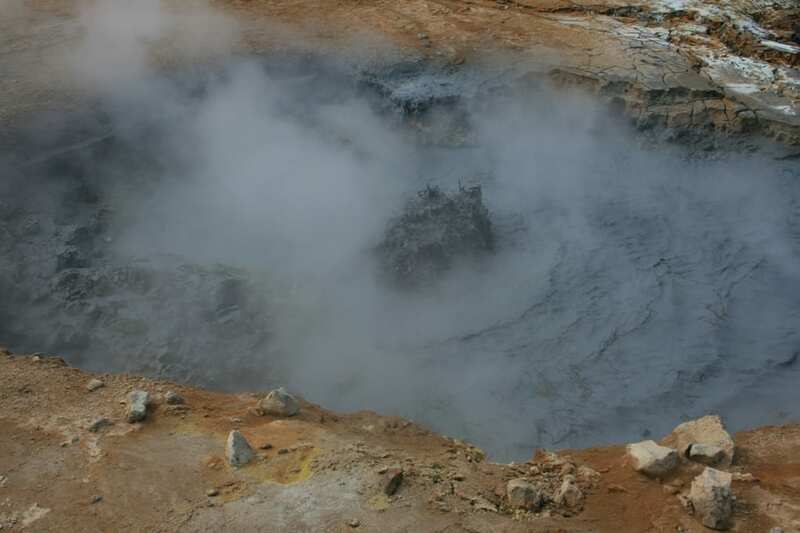 We proceed to Hverir solfataras which is an area of bubbling sulphur mud pits and steaming vents, watch your step as you explore this area! 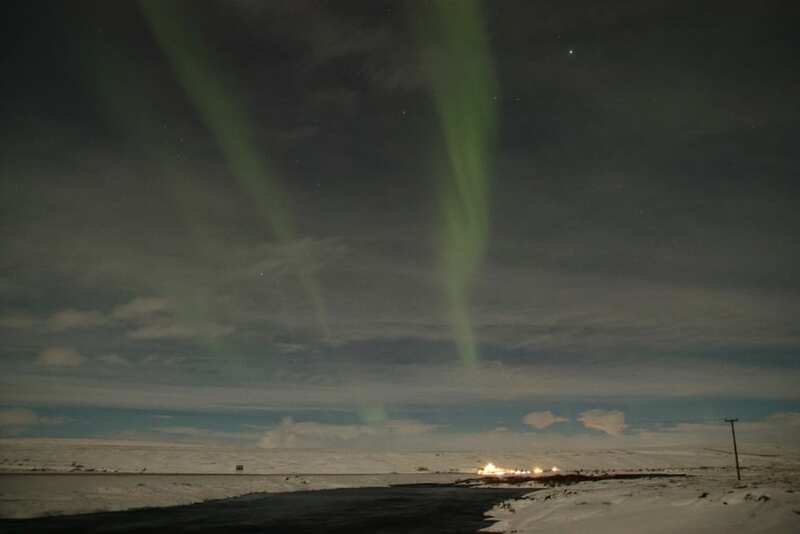 The Myvatn Nature Baths are our final stop. 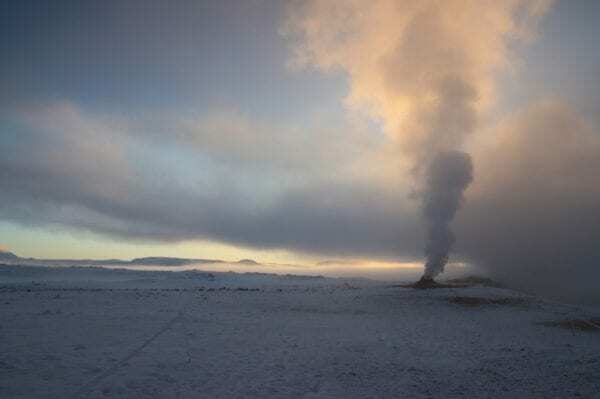 The geothermal waters are the perfect place to relax before driving back to Akureyri. 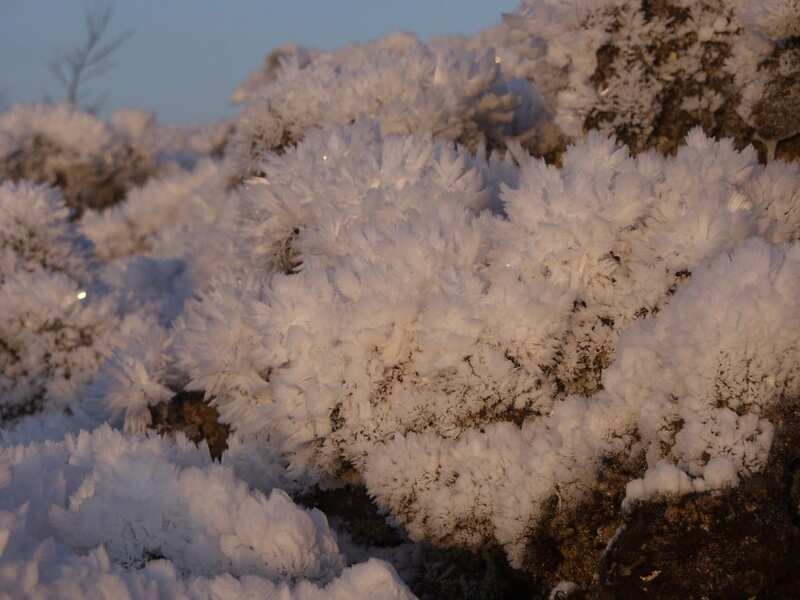 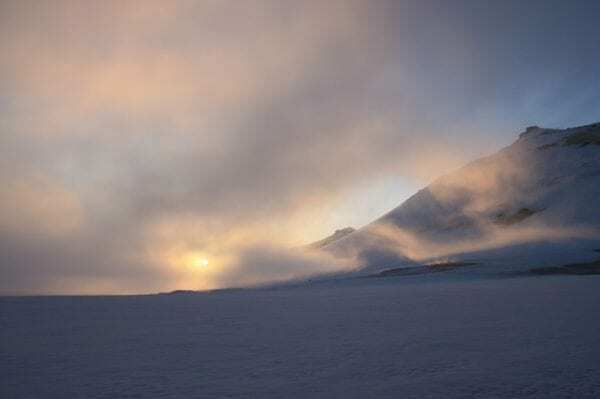 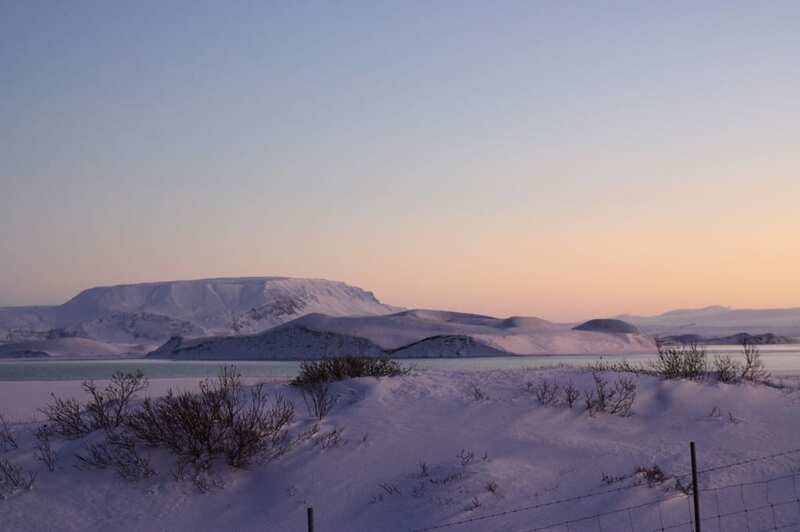 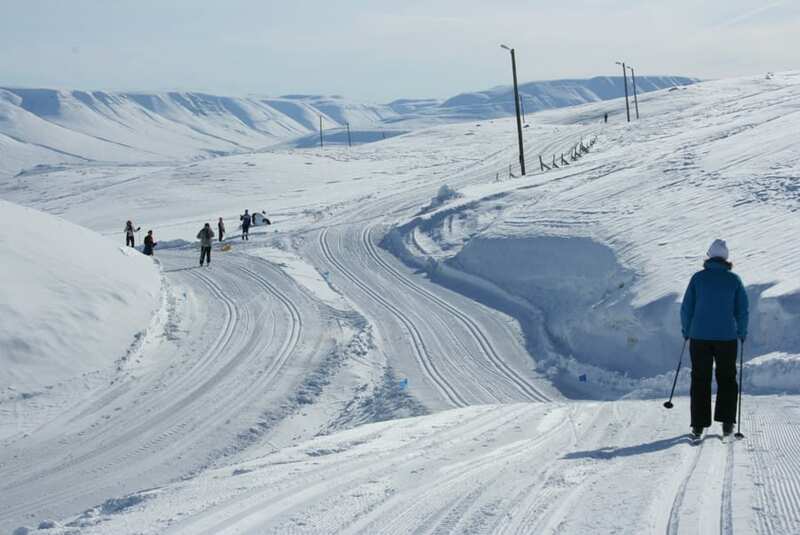 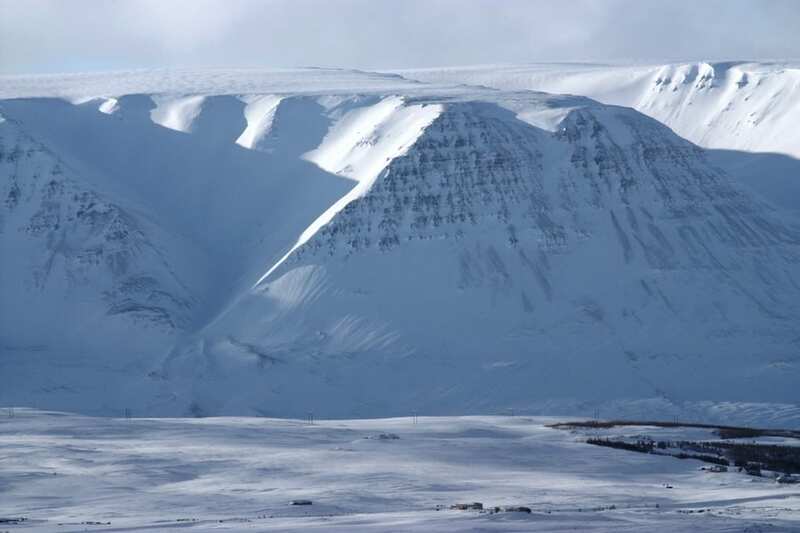 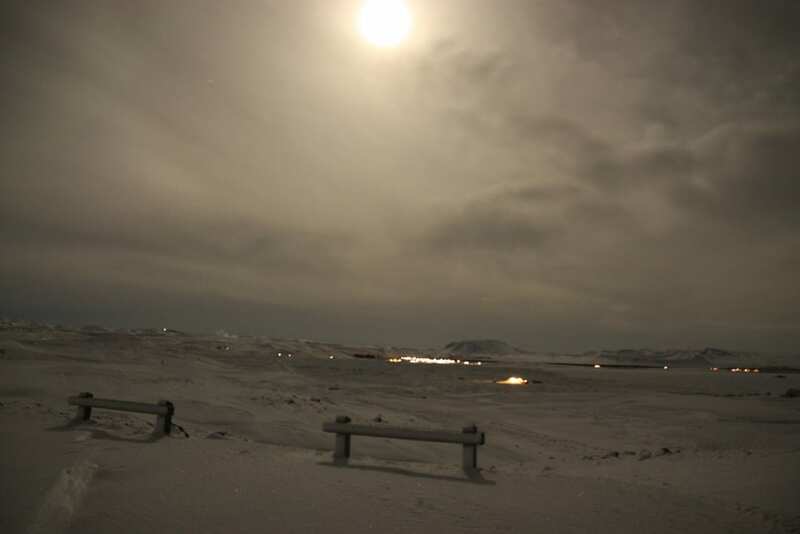 During the winter months, the frost, low lying sun and even snow add something extra to this amazing tour to Myvatn. 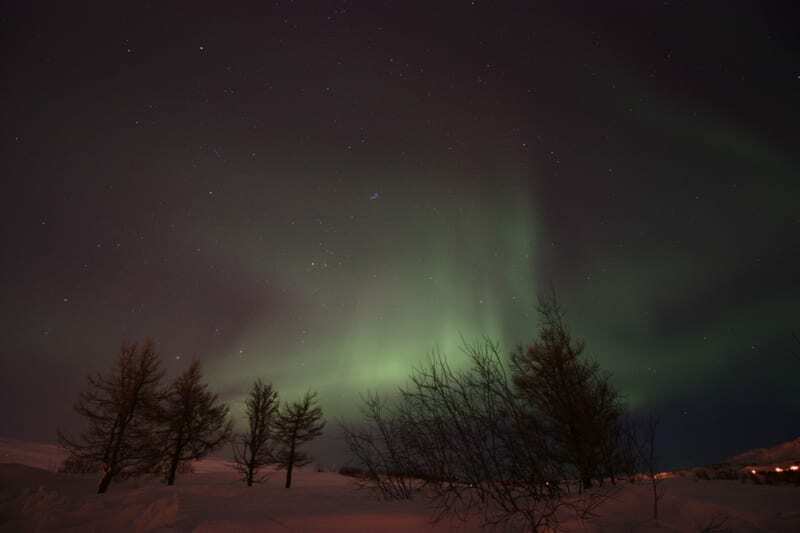 We pick you up from your hotel in the evening and together we go in search of the Northern Lights in the sky. Named after the Roman goddess Aurora these colorful lights swirl around the sky in a dramatic dance, leave different patterns and shapes. The Northern Lights have had a number of names throughout the history. 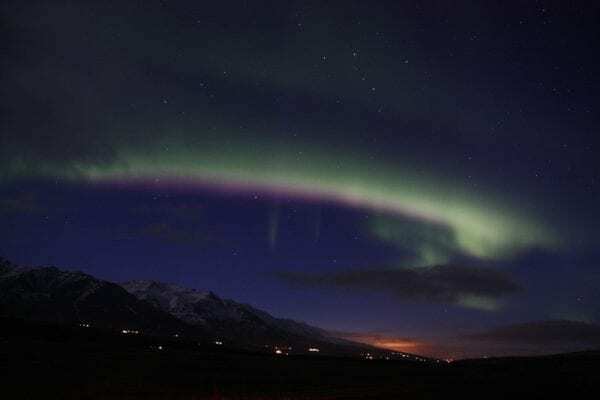 The Greeks called this phenomenon the “Dance of the Spirits”. In Europe, during the Middle Ages, these lights were commonly believed to be a sign from God. 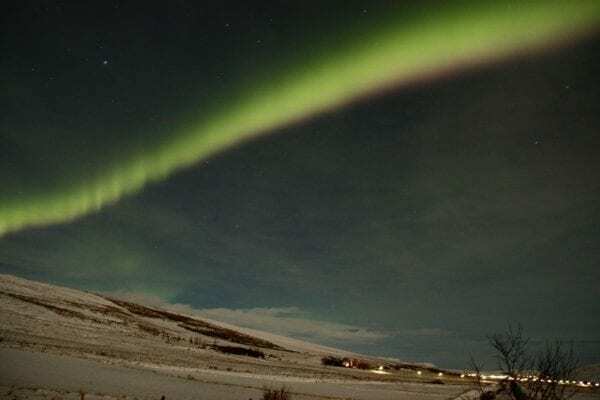 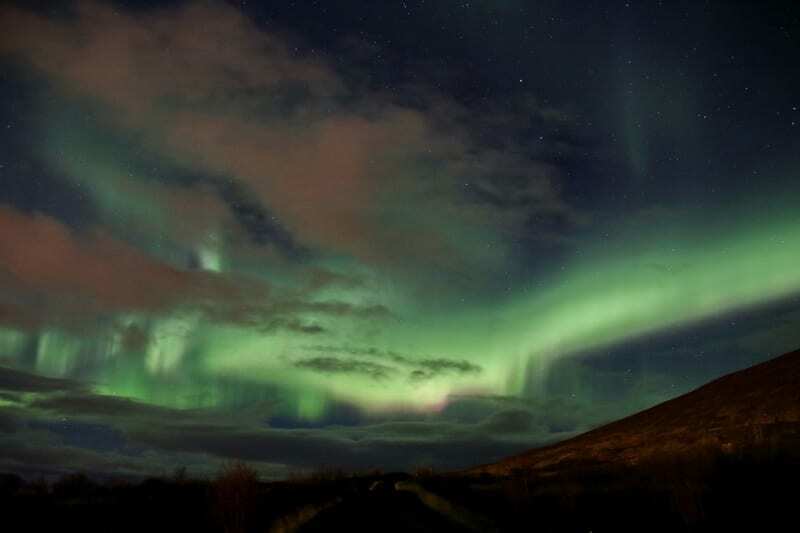 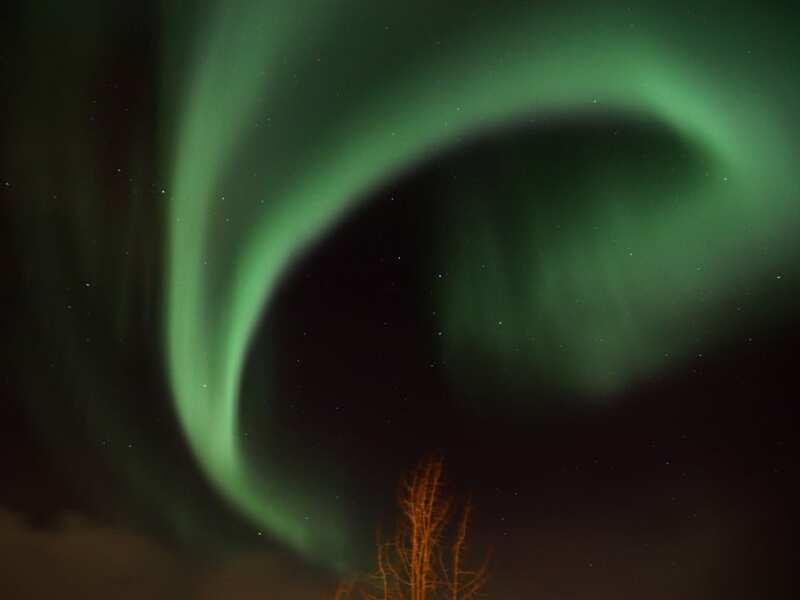 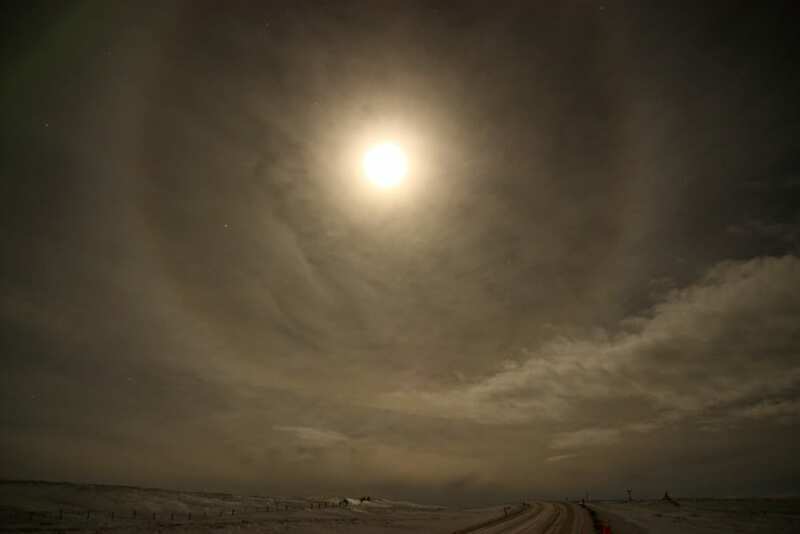 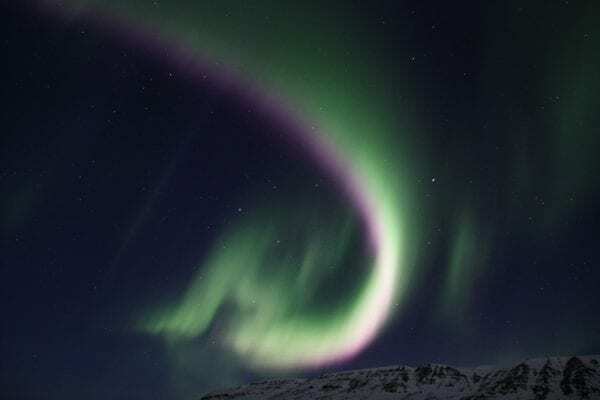 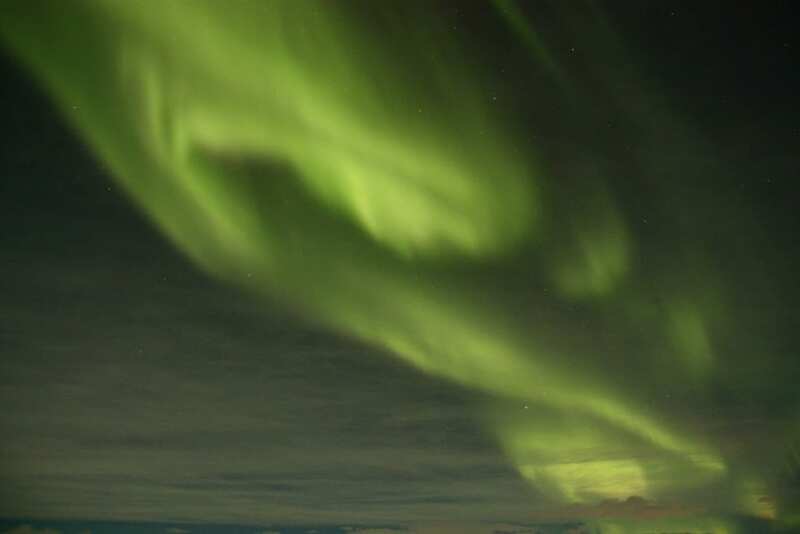 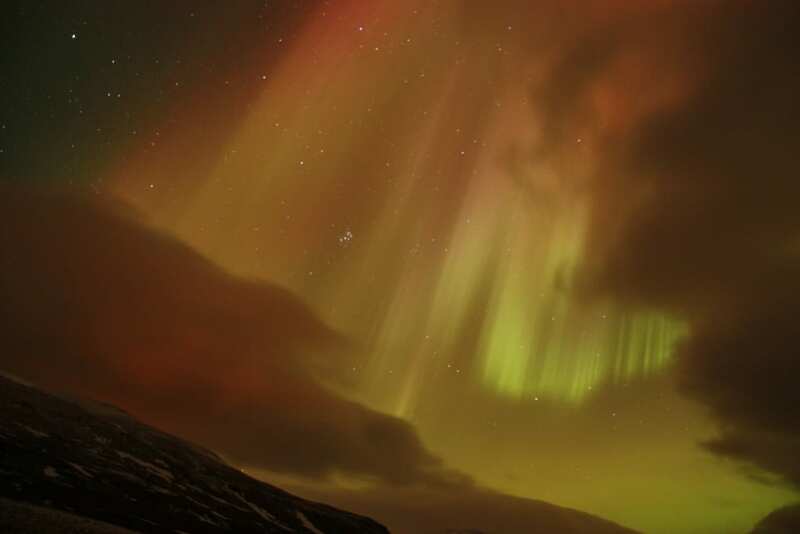 The old Icelandic folktales tell us about the angels dancing in heaven, their dresses were supposed to create these magnificent shapes of light in the sky. 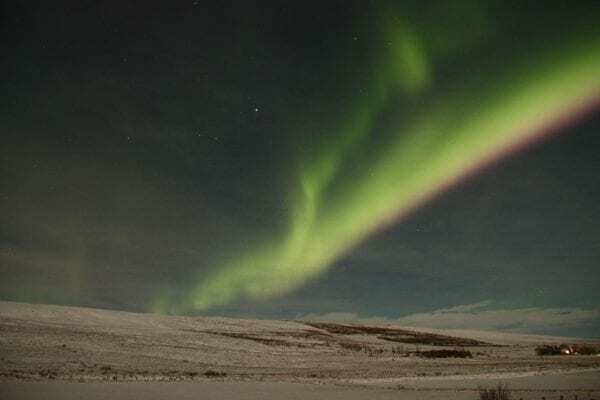 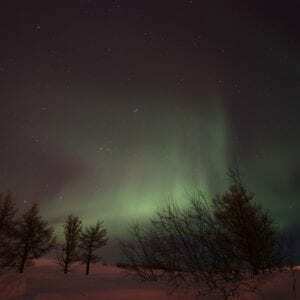 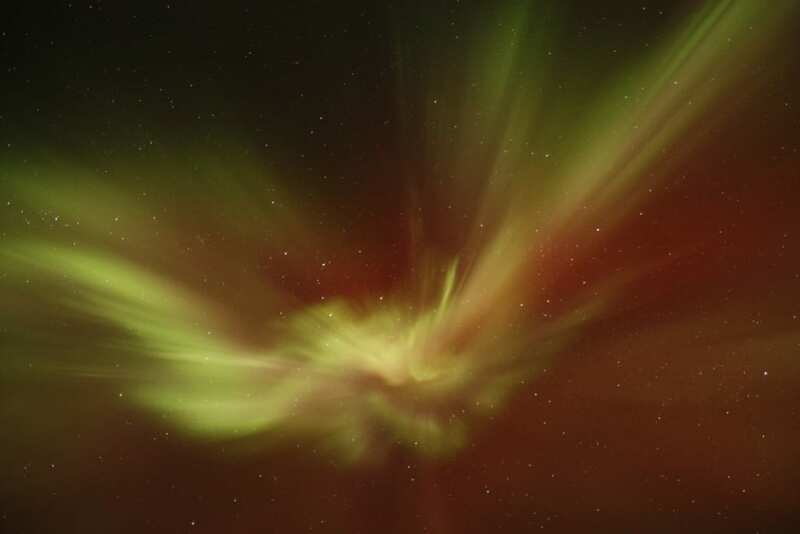 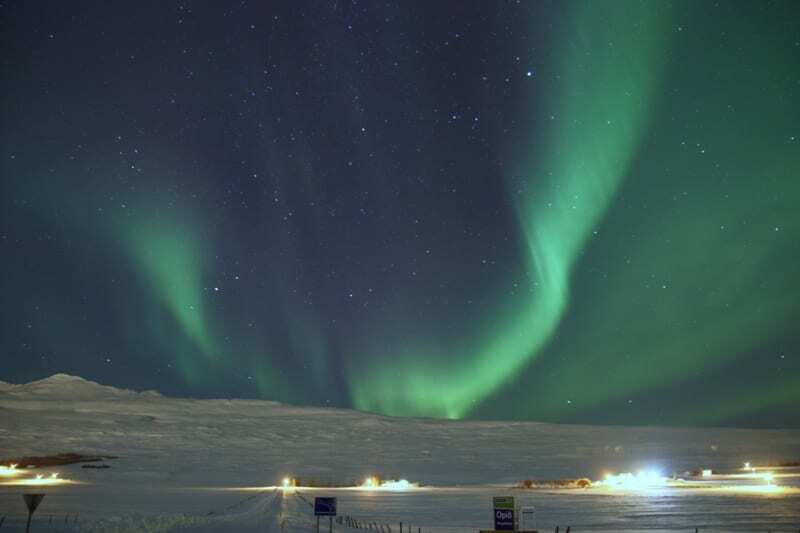 Auroras seen near the magnetic pole may be high overhead, but from farther away, they illuminate the northern horizon as a greenish glow or sometimes a faint red, as if the sun were rising from an unusual direction. 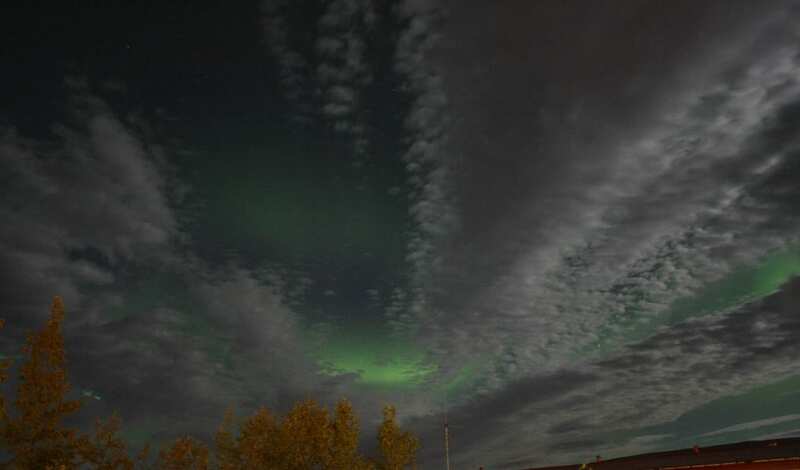 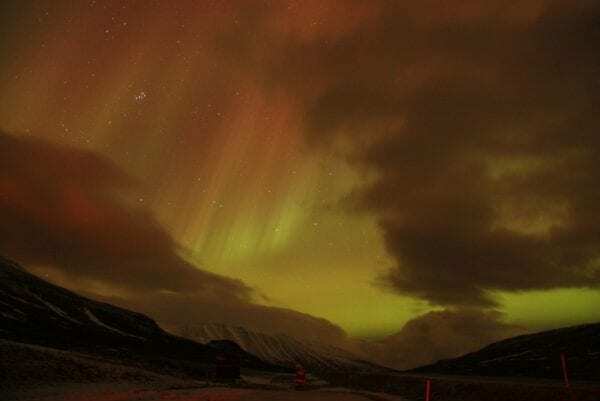 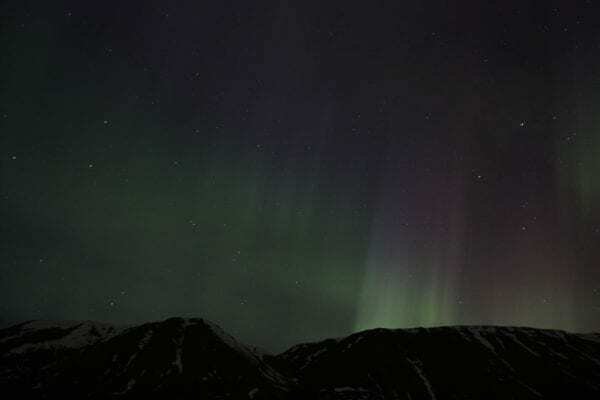 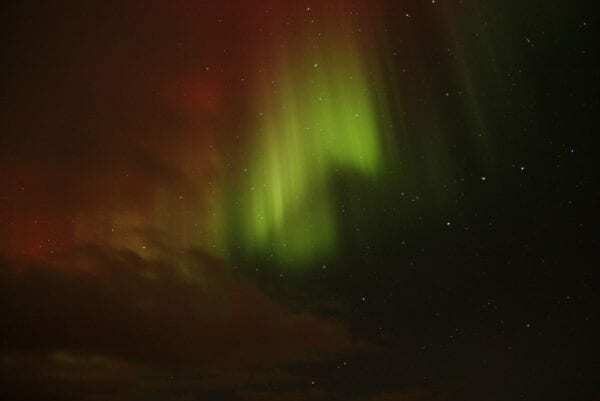 Discrete aurora often display magnetic field lines or curtain-like structures, and can change within seconds or glow unchanging for hours, most often in fluorescent green. Make sure you understand that we cannot guarantee visibility of the lights, though we do our best on each and every tour. 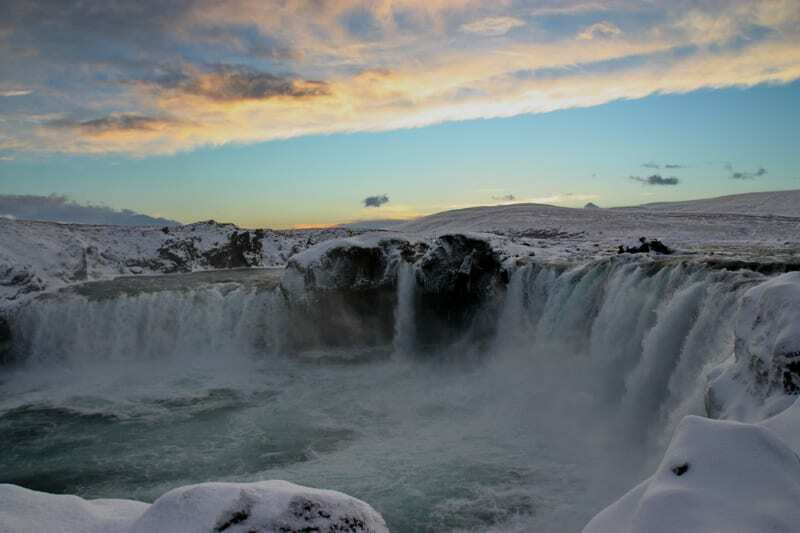 We can, however, promise you a fun and personal tour with hot drinks and refreshments to warm you. 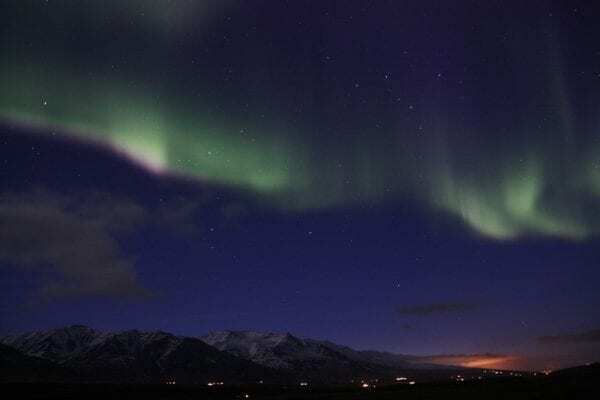 If we do not see the lights, there is a free retry next evening. 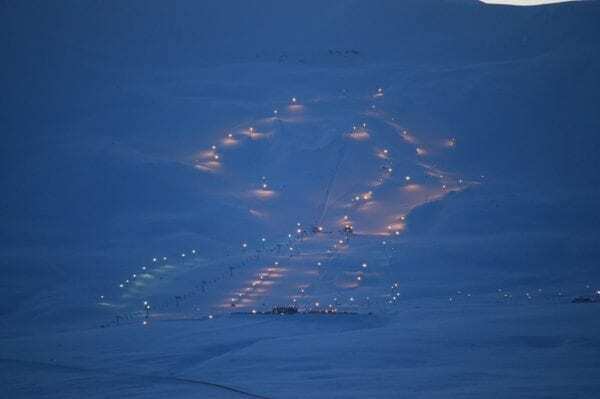 Transfer from your accommodation to Akureyri airport. 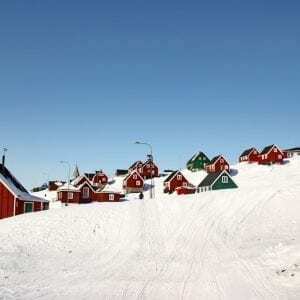 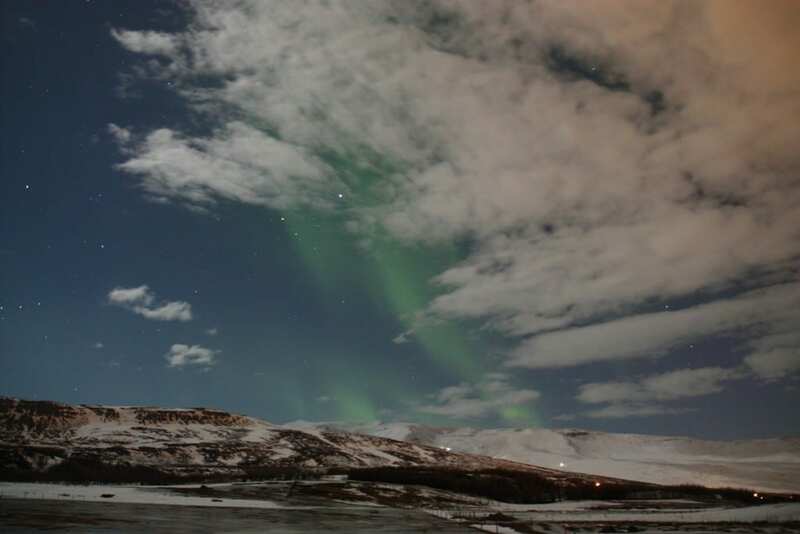 The tour can be combined with the 4 Day Northern Lights Tour in South Iceland programme. 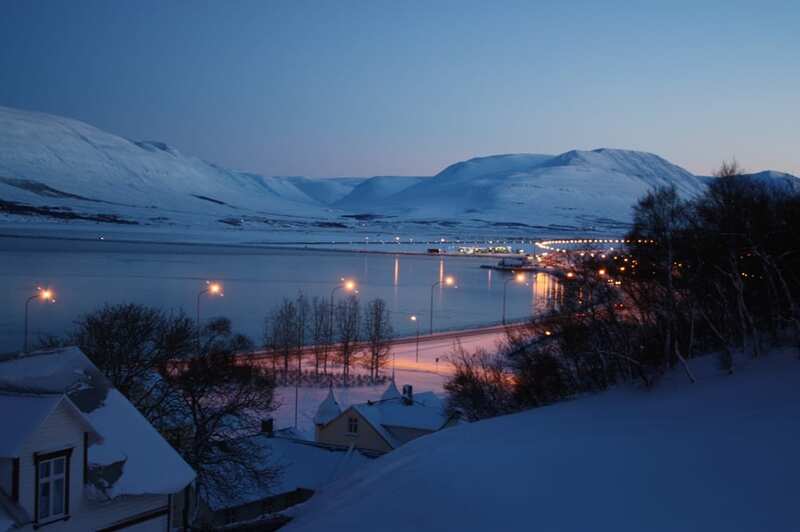 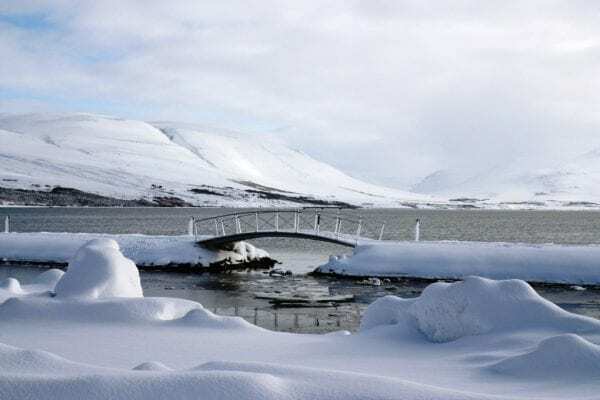 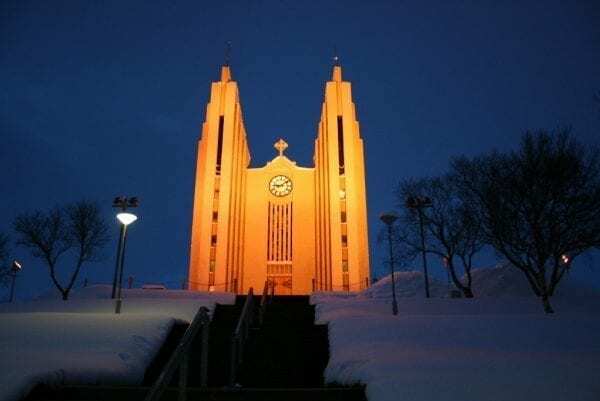 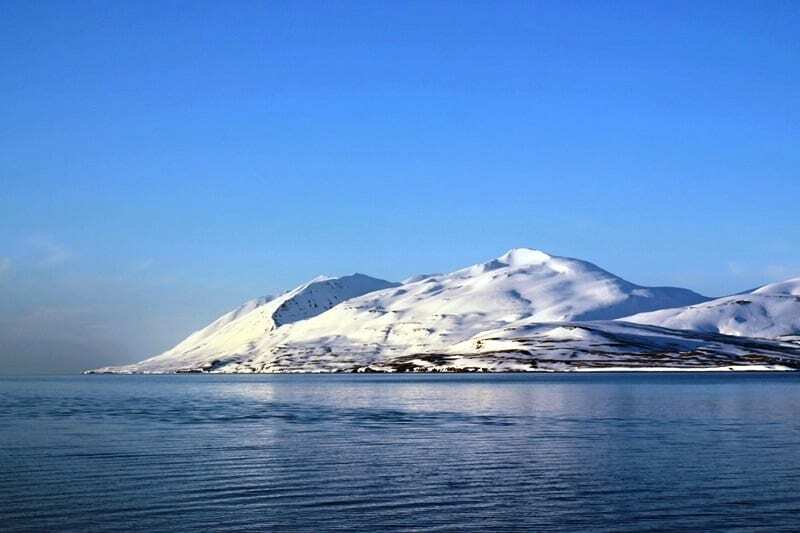 Extra nights in Akureyri can easily be added to the itinerary.